The Military Service Act 1916, passed into law on 27 January, made all eligible single men (those aged 19-40) liable for military service on 2 March 1916. It ended the Derby Scheme, set up in late 1915, which had allowed men to ‘attest their willingness to serve’ – essentially volunteering to be conscripted. At midnight on 1/2 March, the Derby Scheme ‘groups’ (arranged by year of birth) were closed and eligible men not in them were assigned to the equivalent ‘classes’ in which they could be called up as conscripts. 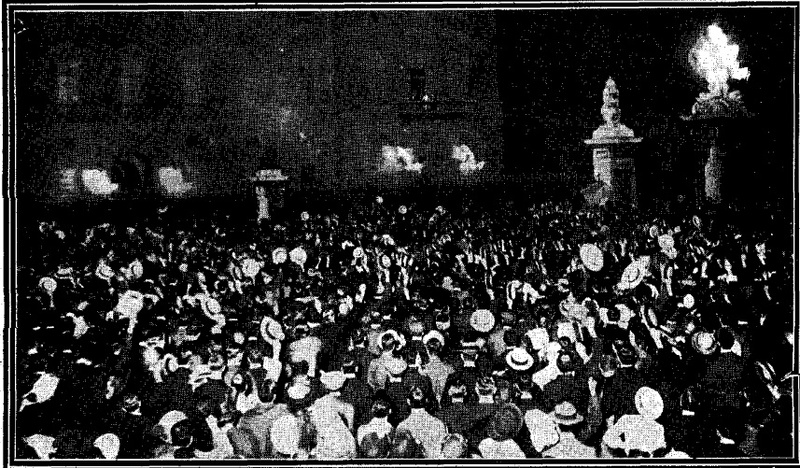 The more bellicose newspapers and propagandists made much of this deadline – insinuating that only those men who attested would be able to apply for exemption from military service (as we have seen, this was not the case). The Government and army recruiters were happy to play along. Posters like that above appeared around the country (including a Welsh version). 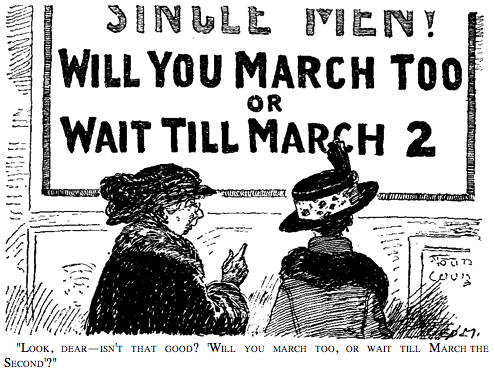 The phrase ‘Will You March Too or Wait Till March 2’ was plastered up outside Town Halls. 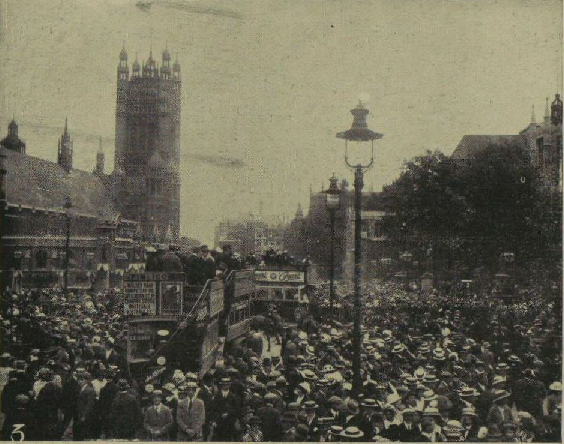 The posters appeared around the base of Nelson’s Column in Trafalgar Square – as shown in this photo, replaced on 1 March with one reading ‘Last Day: March the First’.